Dominic Stead is associate professor of urban and regional planning in the Faculty of Architecture and the Built Environment at Delft University of Technology. He began his academic career as researcher at the University of the West of England. From 1996 to 2001, he was research fellow at University College London in the Bartlett School of Planning and associate lecturer at the University of the West of England. He moved to Delft University of Technology in 2001, initially as a postdoctoral researcher supported by a Marie Curie Fellowship, a European postdoctoral research training grant for young talented academics. He belongs to the OTB Research and Spatial Planning and Strategy groups. Since moving to Delft, Dominic has been principal investigator for more than 10 large European research projects on issues related to urban development, governance and sustainability. Dominic has a strong interdisciplinary background: a doctorate in Planning Studies, a master’s degree in Town and Country Planning and a master’s degree in Environmental Science. 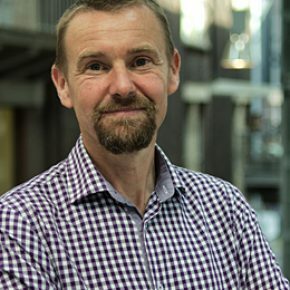 His research and teaching focus on processes of policy-making and the impacts of policies, particularly in relation to urban transport and spatial planning. He has recently been involved in projects funded by ESPON, European Framework Programmes, JPI Urban Europe and the United Nations. He has broad experience in teaching, both at undergraduate and postgraduate level, including courses on urban and regional planning, urban environmental management and transport planning. Dominic has published widely in books and international journals and has co-edited five books: ‘European Transport Policy and Sustainable Development’ (2000, Spon), ‘Policy Integration in Practice’ (2004, Delft University Press), ‘Transition towards Sustainable Mobility’ (2012, Ashgate), ‘Impacts of European Territorial Policies in the Baltic States’ (2015, Routledge) and ‘Planning Cultures and Histories’ (2017, Routledge). He is European editor of the international peer-reviewed journal Planning Practice and Research, as well as being a member of four editorial boards of highly esteemed international peer-reviewed journals: European Journal of Transport and Infrastructure Research, European Planning Studies, Journal of Planning Education and Research, and Planning Practice and Research.